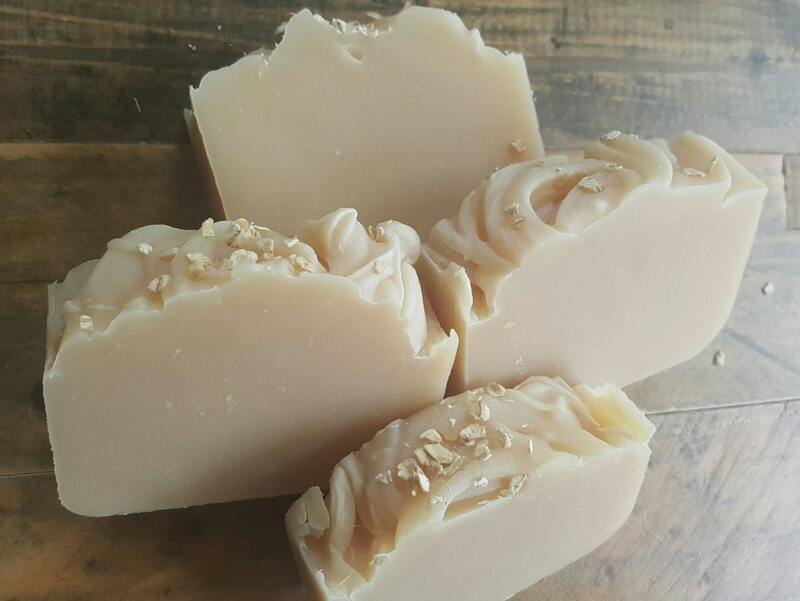 A therapeutic Unscented Goats milk soap that is great for those with problematic skin. Eczema, Psoriasis or just plain dry, itchy & Flaky. Goats milk & colloidal oatmeal soothes, organic dairy cream & Shea butter for extra moisture & Essential oils @ 1% : of Lavender ,Tamanu Nut , Carrot seed, Ejyptian Geranium counter act inflammation & redness. This soap had no color Or Fragrance added with the exception of the essential oils at 1% listed above. This soap has rave reviews & IT WORKS!!! Follow up with our ECZEMA RX SHEA BODY BUTTER for additional support. Keep Showers Luke warm ( NOT HOT) & short in duration. Tamanu Oil :Tamanu oil is a remarkable topical healing agent, with skin healing, ant neuralgic, anti-inflammatory, antimicrobial, antibiotic and antioxidant properties. Handmade from start to finish, my cold pour Artisan soaps are a combination of high Quality vegetable oils, botanicals, Clays and natural exfoliants. Formulated to soften and soothe skin then wash always cleanly leaving no residue. Feature ingredients : Coconut Oil, Canola Oil, Sustainable Palm oil, Olive oil, Castor oil, Jojoba oil, Shea Butter, Goats Milk, Heavy Dairy whipping Cream, Colloidal oatmeal. My 7-year old had eczema as a baby, and it recently starting making a return. She has been very sensitive to soaps, and this one is the best we have found for her. She loves it, and she's picky!